We all know the best curling iron is the one that does not damage your hair, keeps an even temperature, leads to long-lasting curls and is ceramic/tourmaline. Today we want to present you with our top ten best curling irons on the market this year. We tested plenty and we managed to create a short list containing what we think there are the best curling irons you can get your hands on. There are many ways your curling efforts can fail you. This is why, before we get to our top ten list, we have to summarize the best strategies to use to get the curls you want without endangering your hair. 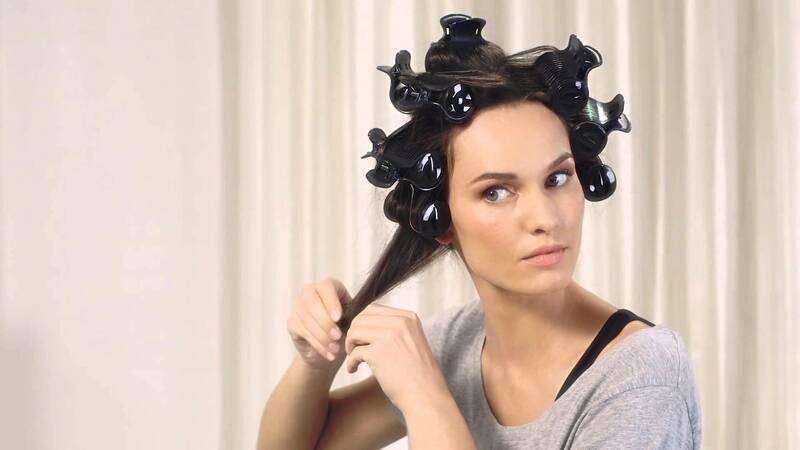 The first thing you need to do is pick a ceramic curler. The best ceramic curling iron conducts heat more evenly than metal. Ceramic and tourmaline irons also lead to less frizzing and damage because they emit negative ions, which keep your hair from getting frizzy and charged with static energy. Another issue you need to concern yourself with is the use of styling products to keep your hair healthy and protected and your curls in perfect shape. Do not forget about a thermal protector to spray and comb through your damp hair before using the iron. Also, take into account a de-frizz serum if your hair tends to be frizzy. Make sure you put a few drops of a de-frizz serum in the palms of your hands and then lightly massage it through your curls once you finished the curling process. Styling spray and volumizing mousse are also products you should keep close. They should be used more if you have fine hair straight that does not keep its curls well. Make sure you do not apply mousse on top of your head, as you risk weighing hair down. One last stop before we see the best curling irons on the market: always use a conditioner or heat protectant if you are a frequent curl iron user. Moreover, if you have dry and damaged hair, make sure you do not heat things up too much, as you risk even more damage. Now that we have summed up the best practices when it comes to using curlers, let us delve in the details of the top ten best curling irons on the market! Before we begin, we have to mention a few things, so you can make an educated choice when it comes to the best curling irons. First, you need to follow the rules of curling your hair so it does not damage your hair. Keep in mind that thin, flat hair works better with smaller barrels, while thick hair retaining shape easily will hold looser curls from larger barrels. Another important issue you need to take into account is the temperature. You should never go to temperatures up to 400 degrees. Medium heat will take you where you want to go, so try staying between 300-340 degrees when styling your hair. Moreover, if you have fine, thin hair, go as low as 175 degrees. There are plenty of curling irons on the market that promise long-lasting natural curls with no effort. However, you need to know a few things about the main types of curlers out there. Let us see the main types of curlers that we recommend! As you probably know, you can choose between a classic curling iron and a curling wand. A curling iron features a spring-loaded clamp that holds your hair in place as you curl. These are the most common and found in most major retailers. Most classic irons come with straight barrels. They offer a uniformed shape to your curls, allowing you to have ringlets and coils. You may also find conic iron curls, but cones are more specific to wands. We will speak about wands immediately, but first, let us see the advantages and disadvantages of classic iron curlers. Curling wands are all the rage right now. They come in ceramic and/or tourmaline and help you achieve the perfect curls you have always been wishing for. 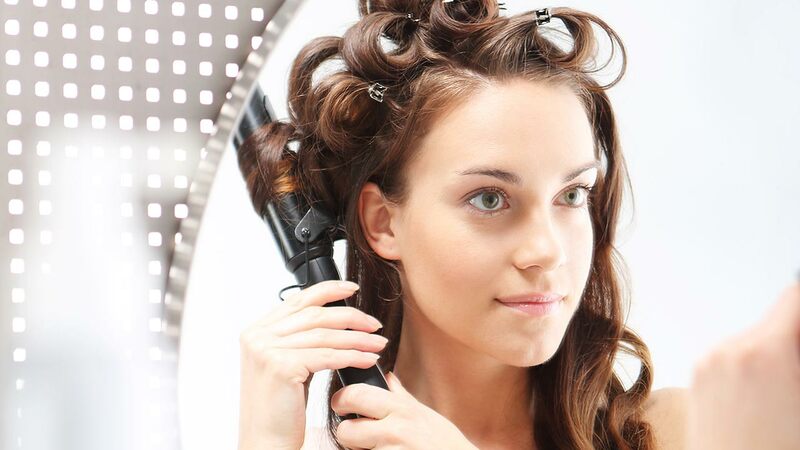 Curling wands are more versatile than curling irons and more and more women prefer them to the classic irons. Celebrities swear by wands because no matter if you are looking for a loose or tight wave, there is a wand for you. With a traditional curling iron, you have to curl your hair, and then run your fingers through it to get a wavy look. With the wand, you simply wrap your hair around the wand, hold, and release. From this point of view, curling wands are somehow healthier for your hair than classic irons. With some curling irons, you have to hold the hair for an entire minute to achieve long-lasting curls. With curling wands, you will get the same curls in 10 to 15 seconds. In other words, curling wands are less damaging for your hair, create longer holding curls, are time-efficient, and better if you want wavy beach hair. However, this does not mean they do not come with their own set of pros and cons. Let see what they are so you can make a better choice! These products bring the best of both worlds: the kits and the sets usually contain more interchangeable barrels, thermal glove, and a travel case. Other kits contain a 2 in 1 curling iron and hair straightener, which can tend to all your hair styling needs. This does not mean that the multi-purpose irons or the kits/sets are above perfection. They also come with pros and cons. One advantage is that they can cover all your wishes in terms of curls and styling. The main disadvantage is that they try to accomplish too much and actually manage to accomplish too little. Upon testing each individual curling iron on this list, we factored in multiple parameters (besides obtaining awesome curls, which is the main goal of our research): ease of use; high technology (digital displays, tourmaline, temperature adjusting etc. ); multi-functionality; curls’ hold; time; price, and more. Before we begin listing the common features of these curling irons, we have to tell you that we also factored in the possible side effects of these products: hair damages, burning, split ends, hair creases, frizzy hair and more. People with dry, sensitive, fine, or damaged hair should refrain from using curling irons on a regular basis. No matter how safe they are, if your hair is falling, if you have scalp eczema, frail hair, or very dry and fine hair, you should have a chat with your hairstylist about the protective hair products you should add to your hair curling routines before or after using curling irons or wands. Summing up, these are the common features of all ten best curling irons on our list! ​Effectiveness: We tried all these products and we found them to be effective in producing well-defined curls that last. Even if you need to be careful what product you use depending on your hair type, if you match the hair with the product correctly, you will not be disappointed. ​Hi-tech features: Older curling irons made of metal were indeed a danger to your hair. This is not the case anymore. We found ceramic irons and tourmaline/ceramic irons and wands that lower the risks of heat to your hair. Moreover, the advanced technologies attached to these products are pleasantly surprising: they come with LCD displays, removable and interchangeable barrels (the kits and the sets), adjustable heat, safety thermal gloves, travel kits, and more. ​Multiple hair benefits: It goes without saying, but curling irons help you get voluminous hair. However, these products, besides curls and volume, they manage to enhance the looks of your hair, giving it shine, texture, and bounciness. They help you achieve beach waves, tight curls, long loose natural curls, ringlets, softer hair, and so on. ​Ease of use: Granted, using wands needs more skills and some experience with curling your hair frequently. However, looking at the bigger picture, we found that these products are easy to understand and use, even by beginners. The shapes and sized are ergonomic, some are perfect travel accessories as well, while all come with straightforward instructions. So even if this is your first hair curling experience, you should not have any problems if you know and follow the rules. 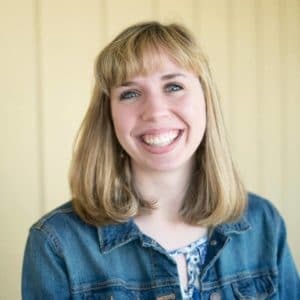 ​Hair-length independence: One of the problems with older curling irons was that you needed to pick the right one for your hair length. Surely, some of these products on the list work better for longer hair than for shorter hair (wands for instance), but generally, you can use these products no matter your hair length. If you switch often between long hair, medium hair, and short hair, you should choose a curling iron set to make sure you achieve the best results. ​While we chose to test some of the highest rated curling irons on the market, we still recommend you think about a few things before you go shopping. While you may have decided on one of the best curling irons for fine hair, make sure you have all the necessary information about each separate product. After all, you need perfect curls obtained in the safest of manners. As a rule, you need to think about your hair type before getting any of these best curling irons on this list. For instance, if you have thick and full hair, you should pick an iron with a rotating barrel for best results. If you have straight hair, you should use a wand to make sure you get those perfect curls from the roots to the ends. However, long and straight hair tends to slip and slide out of hair heat tools. This is why you should consider a conic wand or a classic iron with a clamp to hold your long hair strands in place. If you already have wavy hair, things should be easier. Get a wand to perfect that messy beachy look you are looking for. Moreover, if you already have tight curls and you just want to outline them, you should use a classic curling iron that makes it easy for you to pinpoint specific strands and touch them up to add definition to your style. One rule of thumb is to curl fine, thin, dry or fragile hair using the lowest heat setting available. Look for a curling iron with multiple heat settings, so you can tailor the heat to your hair. ​If your hair is falling due to health conditions, if you have scalp problems, eczema, dandruff, ill hair roots, dry and damaged scalp skin and hair, you need to talk first with your doctor before using any hair styling products. Moreover, before using curling irons of any type, you should also have a chat with your hairstylist – professionals can recommend you the proper heat tool for your type of hair, along with the correct procedure and protection/styling products. Before you get your hands on any hair curling iron on this list, take your time and make sure you are skilled enough to use one without damaging your hair. It would be a shame to spend money on curling irons and then feel disappointed with them simply because you do not know how to use them properly. Make sure you know how to make the match between your hair length and the size of the barrel. While the products on this list work well on all hair lengths, it is wise to use the correct barrel size for the correct hair length in order to achieve the best results. For instance, if you have extra-thick tresses you should start by sectioning off smaller pieces of hair using clips. Curling too thick strands of hair may lead to poor results. As we said, do not keep your hair on the barrel for longer than necessary — sometimes five-to-10 seconds is all it takes. You should start with the lowest temperature and the shortest amount of time and start playing from there. It needs a bit of trial and testing to decide which the best temperature-time ratio is for your hair health and the look that you want. Also, try to avoid curling wet and damp hair, as curling will damage the hair. Day-old hair seems to hold its curls better than freshly washed hair. However, if you just came from the shower, dry your hair well before the curling process. If you have dry, damaged, fine, and frail hair, make sure you follow your stylist’s instructions to a tee and test what is best for you. While a curling iron will not lead you to bankruptcy, it is still an investment you need to think about. If you have a larger family and you share your curler with your daughters or sisters for instance, the friendliest version is a curling iron set with interchangeable barrels that can cover all the hair lengths and types in the family. This way you will save money and time on the long term. ​If you curl your hair once or twice for special occasions, you should find a curling iron that is affordable, has good reviews, comes with solid tech specs and makes your go-to styling product. However, if you are a curling buff and you curl your hair frequently, you should invest in products with very low risk rates of hair damage. In this case, we recommend tourmaline/ceramic curlers and hi-tech heat tools with temperature adjustment options. We emphasized on many important things while we tested and rated each individual curling iron, but you still need to ask yourself a few more questions before you start shopping. There are many FAQs answered on each of the reviews linked here, but let us resume some of the most important inquiries people have in relationship with these best curling irons. 1. Q: Is this product completely safe for my hair? No curling iron is “completely safe”. As we said, you need to test the product a few times and on thin strands of hair to decide which temperature and which time leads you to the desired results. Heat can be very damaging for your hair, especially if it has a tendency to fall; it is frail, dry, sensitive, already damaged, and so on. Make sure you follow the instructions and talk to other people who have the same problems as you do to make an educated choice. If you still have worries about the temperatures or times, ask the manufacturer all your questions before purchasing the product. A: 2. Q: Am I going to get better hair after using these curling irons? A: As we mentioned above, these products offer you curls and volume – by default. However, we found that many such products also make hair look softer, shinier, and well textured. Their main goal is to turn even the straightest, stubborn hair into messy beach waves or Shirley Temple curls – and this is what you should aim for as well. 3. Q: Does the use these products need supplemental hair care? A: Yes. You need to make sure your hair is moisturized and healthy before using any of these products. 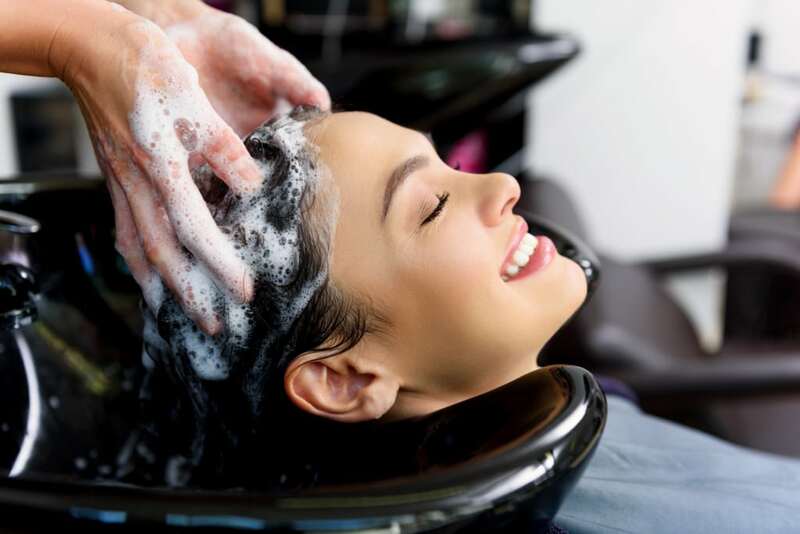 Stylists recommend you to use conditioners, serums, and hair masks to make sure your hair is strong, nourished and hydrated before you use heating tools. You can also try a heat protectant, I swear by these for my hair! Moreover, after you got your curls, you still need to use some serums, fixing sprays or volumizing mousses to keep the curls exactly how you want them. 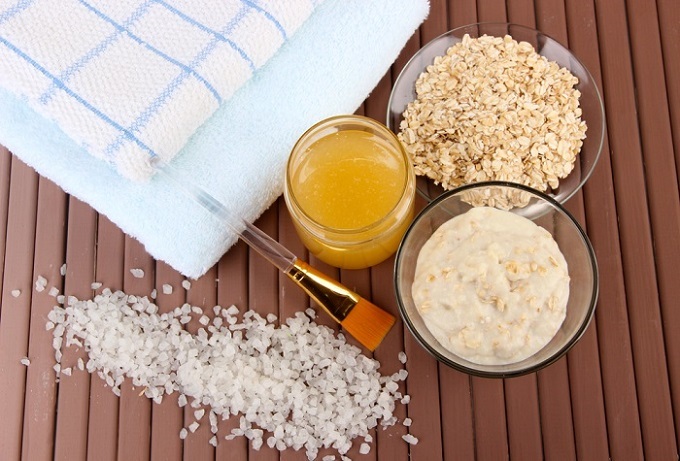 We will go one-step forward and recommend you treat your hair and scalp with natural homemade hair masks and nourishing mixtures to alleviate the side effects of curling irons and styling products. Why are These Best Curling Irons Awesome / Valuable? ​These curling irons are awesome and valuable for a great number of reasons. 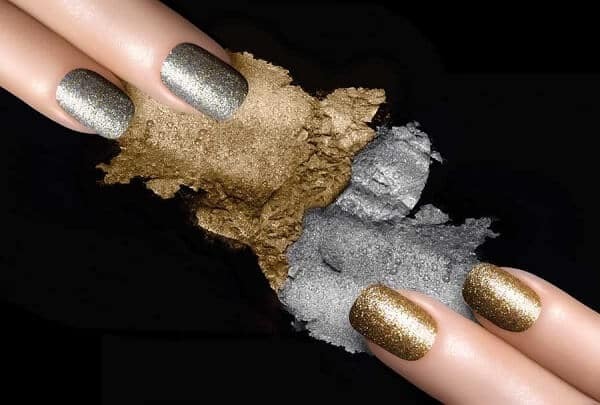 We mentioned such reasons on each individual product review, but we are more than happy to summarize our top favorite awesome reasons why everybody should try these products to get amazing looks. ​Bad hair and continuously bad hair days can send a woman to a dark place of low self-esteem and self-depreciation. Not anymore! Once you pick the best curling iron for your hair type, hair length, and skills’ level, you will not have bad hair days anymore. On the contrary, you will look amazing, even if you choose tight curls, messy beachy waves, romantic loose curls, or anything in between. This comes with obvious psychological benefits, as you will look amazing, feel amazing, and put aside all your self-doubts. ​All the products on this list are easy to use, even if the wands require some expertise with hair curling. What we mean by ease of use is the fact that these curling irons can make incredible assets for teenage girls, adult women, and elder ladies who want to spice up their looks with no effort. Many such products also come with thermal-resistant gloves and travel kits. They make excellent hair styling tools for women who need brilliant hair and styling in a matter of minutes, women who travel a lot and need to look perfect at all times, girls experiencing with their looks, and elder ladies who want to get perfect curls without feeling trapped by too many hi-tech functions and operations. ​Professional hair styling is expensive and it takes a lot of time. Curling irons and hi-tech curling wands in ceramic and tourmaline are today’s home alternative to the salon. Given this, you can easily understand that these products come with incredible price-quality ratios. If you get a set or a kit you will make all the women in your family happy as well. Before reaching the conclusion of this best curling irons top ten list, we have to focus on three more questions that are common among customers. We noticed people are preoccupied with some issues. While we touched these subjects on each individual review, we feel it is important to summarize them here as well. Q: What is tourmaline and how are tourmaline irons better than others are? A: Tourmaline is the newest trend in heat style technology. It is a crystalline mineral. The manufacturing process is organic. Producers coat the irons with tourmaline. This precious-gemstone can produce six times more negative ions than ceramic. You will see many products on this list described as tourmaline ceramic. This means that the tourmaline on the irons and wands is infused into the ceramic barrels to produce straighter, more defined results. When the negative ions from the iron interact with the positive ions of dry hair, the result is a neutral charge, which lays the cuticle flat for glassy, frizz-free hair. In other words – and to answer a question above – using tourmaline curling irons leads to smoother, shinier hair. Q: What type of curling iron is the best for me? A: We already said that you needed to be fully aware of your hair type and length. I you have damaged, fine, or dry hair, or if you are concerned with heat damage, you may want a ceramic tourmaline curling iron. You have no limits in your curling iron choices if your hair is healthy and strong. If you have already thick curly hair, you should get a tourmaline or ceramic iron for added protection. Before buying such products, test a few before – if you have friends who curl their hair, try their irons or wands to decide which one is the best for you. A: They are quite durable. Many come with warranties and manufacturers’ guarantees, return policies, and certifications. In other words, you can rest assured the products will not break or malfunction after one use. However, since all household items are bound to break at some point, make sure you receive the manufacturer’s warranty in the package and you learn everything you need about the returning policies. If one product does not come with proper specifications regarding guarantees and returns, ask the manufacturer. This was our best curling irons top of 2017! If you want to turn your hair into a work of art and sport those curls like a celebrity, then you have come to the right place. No matter which product on this list you choose, you will enjoy its benefits in no time! One of the biggest advantages of these curling irons is that they are easy to use even by beginners. Try the product a few times on thinner hair strands; do not forget to prep your hair before and after you used any heating tool. You should get amazing results in no time. Some of the products on this list come in sets and kits. They also make great gifts for the women in your family or for women who travel a lot and need to look neat and gorgeous at all times. These best curling irons bring a lot of value from a quality-price balance point of view. You may find some cheaper than others, while some are quite pricy. However, if you want quality for your money, these products are budget and family friendly. 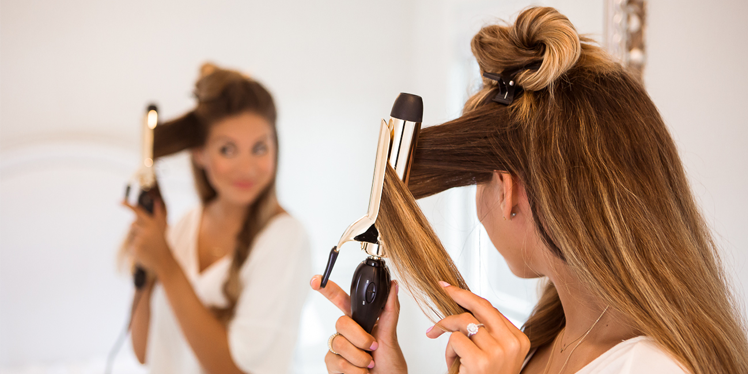 For best results, make sure you perfectly match the curler with your hair type and hair length. 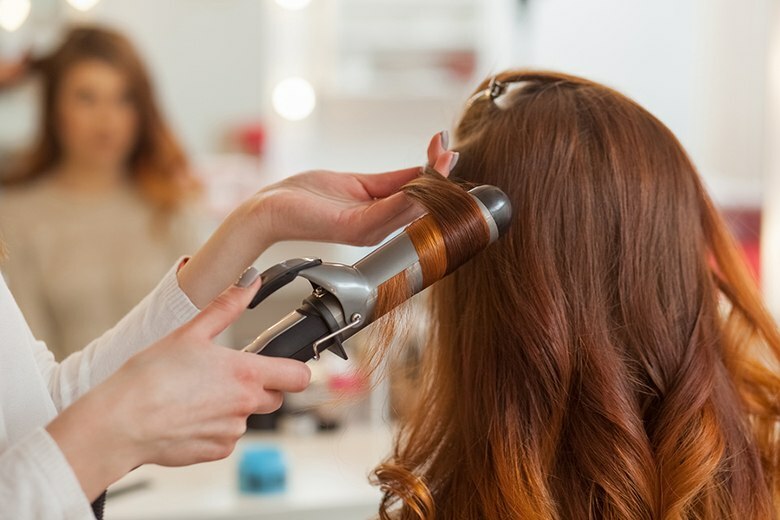 Do not use the curling irons or other heat tools – let alone hair styling products – if you have dermatological problems or your hair is already frail, dry, or damaged. Do you want to get the best curling irons on the market? Check out each individual review we offered for each of the products on the list! If you have more questions, concerns, suggestions or feedback for us, we would be more than glad to hear from you! Leave us your comments in the dedicated section below! ​See the best curling irons on the market according to Amazon reviews!